As I’m writing those lines, I’m playing a part in the launch of the new version of ooVoo, currently the largest independent video calling application. Without going into the product, tech and strategy reasons of the upgrade, the new ooVoo is kind of a big deal to the company but most importantly the users. It’s different in the fact that for the first time in years ooVoo has shifted the balance of the product from a full-on video synchronic experience into a video experience that co-exist alongside an asynchronous collaborative stories-like experience. The launch day and the immediate time that followed it felt like a rollercoaster where I felt that we’ve seen it all: Production-breaking technical issues, old time users being locked out unable to log in, rage in the reviews, rage in the app, rage in social media and small communities who adopted the new experience and tried to convince the ragers to stick around. Being inside the rollercoaster it’s hard to look at everything that’s happening in macro-view and appreciate the bigger picture as well as chalk down some insights and references for future releases and that’s why I’m talking a quick pause to jot down my takeaways before they fade into the joy that’s the iterative process. Data is great, sometimes a decision point needs a user’s face behind it. For a lot of people being isolated and building a brand new product, especially from a technological perspective, can take away from the focus on the users and user stories of the original product. I would also argue that the farthest away the team is from touching the user (e.g. core services > backend > front-end), the easier it gets to make decisions based solely on data, level of effort and project timelines rather than look to the user in the eyes and saying “you will not get this on launch” or “that will no longer be supported”. 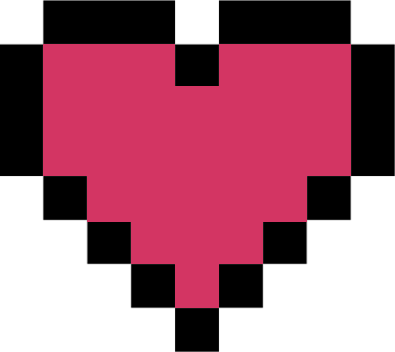 Don’t get me wrong, I love data (here’s a heart ❤️), I think data will light the way especially when talking scale. On the other hand, when breaking scale into the micro-communities that construct it, we’re looking at cohorts (see? Data words! ), actual humans with use cases and stories that will be impacted by a decision being made. That’s where I believe my role as a product manager shines, by banging the drum of “there are humans on the other side” and putting names behind patch notes will get incredible value when planning becomes execution. That’s why communication and in my humble opinion over communication is key. Long gone are the days where the users community is passive and playing the bug numbers game we can shift users from one end to the other. Being human, and being given channels to express their feelings, makes people take the opportunity in both hands and tell their friends and seek other community members with the same opinion while they are at it. As a tactical and strategical play, the team and I embraced the rage and confusion (there was a portion of positive in there, for the record) and the overall notion was one - empathize. For a product manager, or any team member, or human in general being able to both put yourself in the other person’s shoes while being a vessel for his feelings is a great feat and feels incredible when true empathy happens and you get where the other person is coming from. It’s perfectly ok to be upset, it’s perfectly ok to uninstall and go use a competitor. I argue that true empathy is one of the best retention channels we can have. Living in Twitter, Facebook and App Store reviews for couple of days and absorbing all the negativity is scary. It’s very scary as a product manager and I’m sure it gets exponentially scarier as you get closer to being at the helm. It’s almost in the DNA, like anticipating the tiger in the bush our mind already plans how to put down the fire: “OK, let’s give everybody what they ask for”. And that may be the right call somewhere along the line but for the first immediate period of time, and if we are already user minded (point #1) and empathizing and over communicating (point #2), I’m asking myself mostly to believe and see the bigger picture: We have built the new product for a reason, we have spent time and effort validating, the new product has the potential to do good for people. Being pragmatic and flexible is great, especially when it comes to software and having the courage to disproof a hypothesis and adopt the anti-thesis is nothing to sleep over. That said, remembering where you started at and the journey it took you to get there may hold more answers than any short-term decision and compromise. So believe.